Love is a universal feeling, which is felt by every living being on this earth. Love sees no caste, it is for everyone. Everyone has its own way of giving and feeling love. Love is of a different kind. Today I am writing an article about the Top 2 greatest love stories which ended up incomplete. 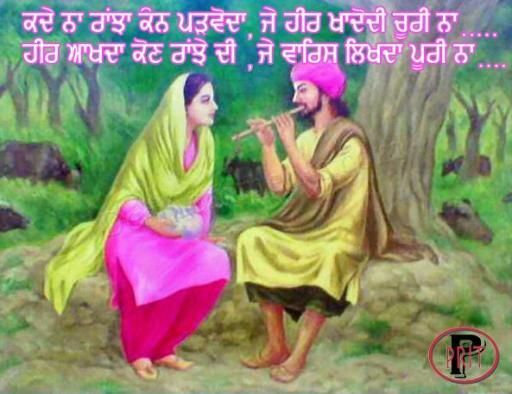 Mirza Sahiba is the one tragic love story of Punjab. It shows how difficult is for a girl to choose between her family and lover. The brief story goes as Sahiba was the most beautiful girl of her time. Mirza was also the handsome guy. When Mirza first met Sahiba and they fell in love. But her family opposed the relationship, and instead arranged a marriage with another man. But Mirza did not want to lose her. So he arrived on his horse, the night before the wedding and secretly carried her away, planning to elope. Sahiba’s brothers got to know about this and decided to follow them. On the way, as Mirza lies under the shade of a tree to rest for a few moments, Sahiba’s brothers caught up with them. Sahiba did not want any bloodshed as both were lovable to her. Neither she wanted to lose her brothers nor his love. And Sahiba also knew that Mirza is a great archer. So he would kill all her brothers. Before Mirza woke up, Sahiba breaks his arrows so he can’t use them. She thought that her brothers will forgive Mirza and will accept him. But the brothers attack Mirza and kill him. Sahiba takes a sword and slaughters herself and thus bids farewell to this world. Thus, these two lovers sacrifice their own life. The storyline is: Ranjha was a poor guy and Heer was the richest girl. While roaming the streets, he reached Heer’s village where Ranjha got the job of rearing cattle, where he reared cattle for 12 years. Ranjha was excellent in playing flute and this is what mesmerized Heer about him. Both fell in love with each other. Then they started meeting secretly. Probably, it was not accepted to god. One day, Heer’s parents caught them red handed. Her parents decided to marry her off to a boy called before which her uncle poisoned her. She died a painful death. On getting this bad news, her lover came running only to see the girl he loved, lying dead on the floor. He also committed suicide. In 1970, a movie was released on this story. Rajkumar played ranjha’s role and Priya Rajvansh starred as Heer. It was a blockbuster movie of its time. The heart touching movie song titled “Yeh Duniya yeh mehfil mere kaam ki nahi” defines the feeling of the Ranjha when he was separated from Heer.